Ballatore Training was founded by Ron Ballatore. Ron is a personal trainer that believes in a common-sense approach to exercise and health. He'll share with you the strategies that he has used to help hundreds of people achieve their goals of fat loss, increase strength, and improve quality of life. Getting into the best shape of your life requires consistent effort over the course of months of training. There are no easy fixes but with great coaching, patience and an honest effort it will happen for you. 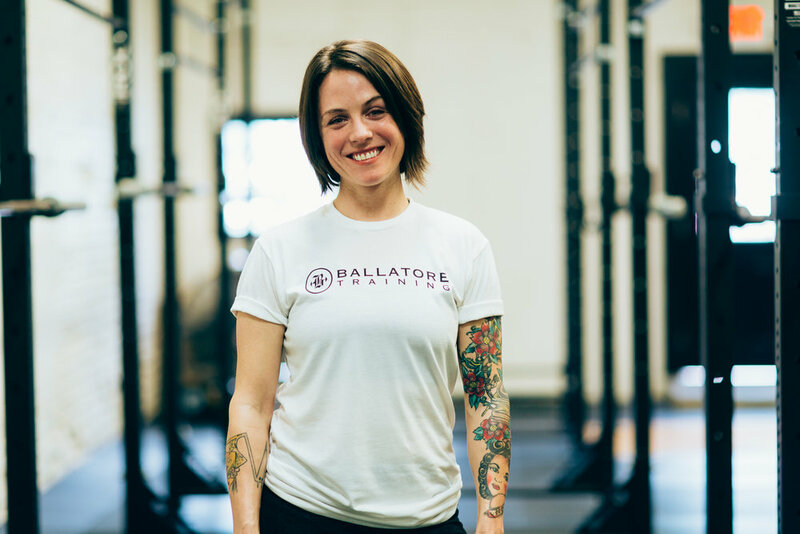 Kelly Kochis is a strength and conditioning coach at Ballatore Training, a licensed massage therapist and a self proclaimed anatomy and kinesiology junkie. Kelly’s interest in this field came from the unexpected fulfillment she found in her personal experience with weight training, beginning in 2014. She believes that exercise and movement should never be perceived as a chore (or worse, a punishment) and that sometimes all it takes is some education and encouragement to move beyond that mindset. Kelly values empowerment, community, perseverance, education, and autonomy. Her goal is to incorporate each of those components into the time spent with clients to foster a sense of confidence that transfers beyond the facility walls. She comes from a huge family, loves her three dogs, plays the violin, can not live without chick peas or soccer, and also just really likes lifting heavy things. In 2012 Josh's desire to be challenged led him to joining the Marine Corps. He served as a reservist from 2012-2018. In 2013 he moved to Gainesville to finish college and decided to start training as a side job. The more he learned about the practice and science of exercise, the more fascinated and educated he became. Eventually I found that my passion lies in training and not management, which is what my degree is for. He finished his degree and decided to pursue a career in helping others. Josh wants to help others better their lives using fitness as a catalyst for growth, physically and mentally.